By Danah Al-Ansari, Haidy Haitham, Farida Kamel, and Yomna Abdelnasser. 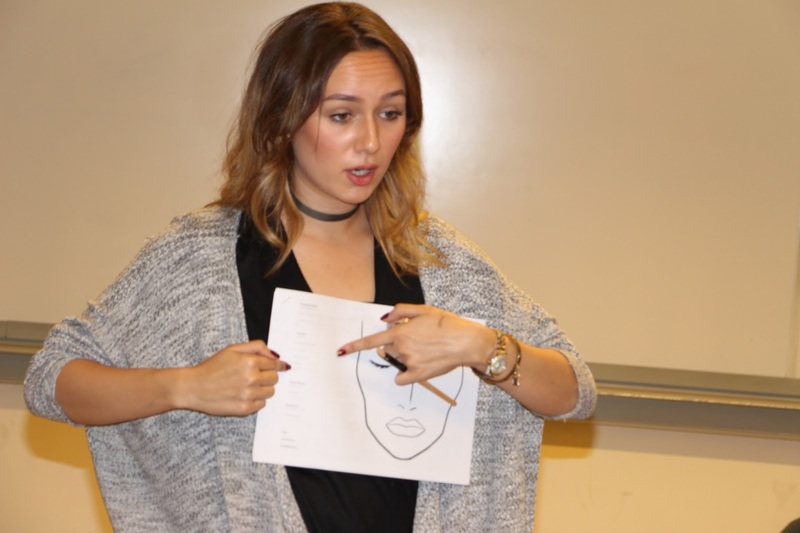 Professional Makeup Artist Iman Oraby held a workshop on Tuesday, November 3, from 2:00 P.M. until 5:00 P.M., at the American University in Cairo. 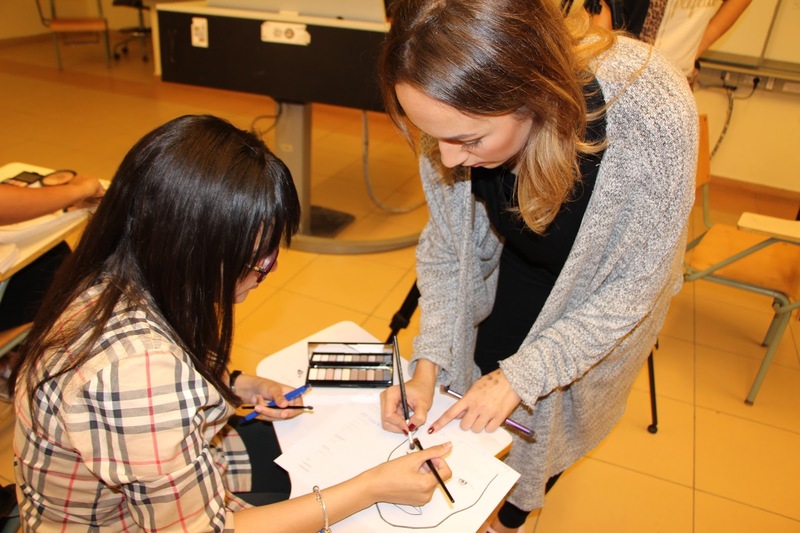 The workshop aimed to teach the attendees makeup application methods and skills. Iman Oraby started discussing and explaining makeup techniques at the beginning of the workshop. Then, Oraby started to apply makeup on her model, Hana El-Badrawy. The attendees followed step by step by drawing with real makeup on their canvas that Oraby provided, as a way for them to practice what they have learned. "The more you practice, the more you master applying makeup." said Oraby. 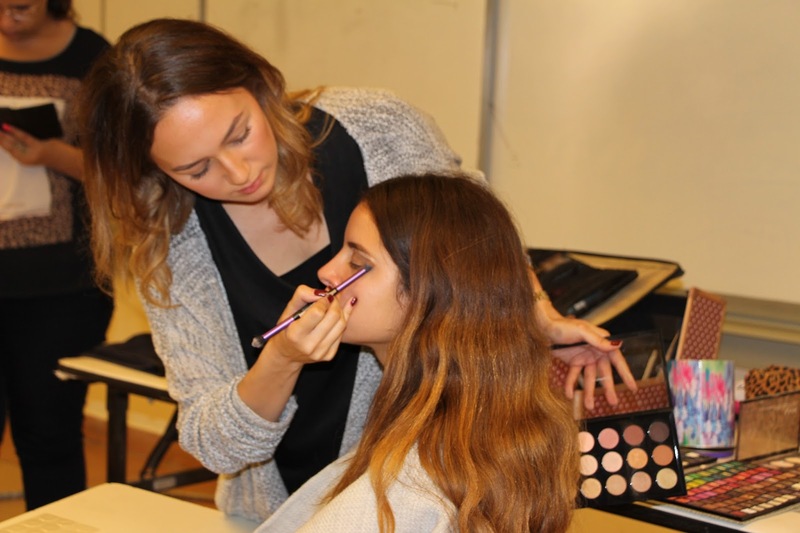 According to Gina ElSagheer, one of the participants, "Iman has a makeup application that showcases her makeup tutorials, but, it is so much better to see how things are done in real life". We covered this makeup event, as it was so interesting to see a fun and unique workshop take place at AUC. The workshop was very interactive and the participants were very interested. 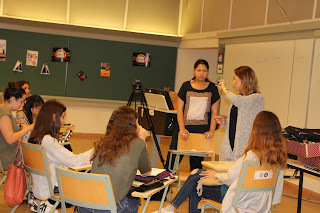 Also, we interviewed Oraby after the workshop and inquired about her makeup passion. She mentioned the impact of social media on her profession. "Media is a massive influence, it is what I use as a marketing tool, and everything is done by social media. It is how I have an interactive relationship with my client,” said Oraby.